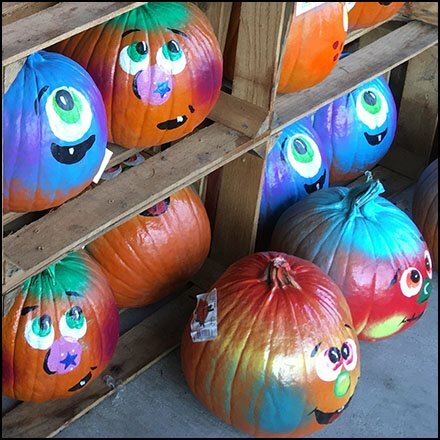 No need for any artistic skill on you part given the Painted Pumpkins Ready-To-Go at Wegmans. And no laborious hand carving needed either. The range of choices is extensive including happy, smiley, goofy and downright one-eyed eerie. Shop early for best selection at Wegmans, Allentown PA.